But, everyone makes mistakes. So, it doesn’t mean employees are bad people. As such, instead of showing them the door in the light of day, it would be best to issue them a warning notice. 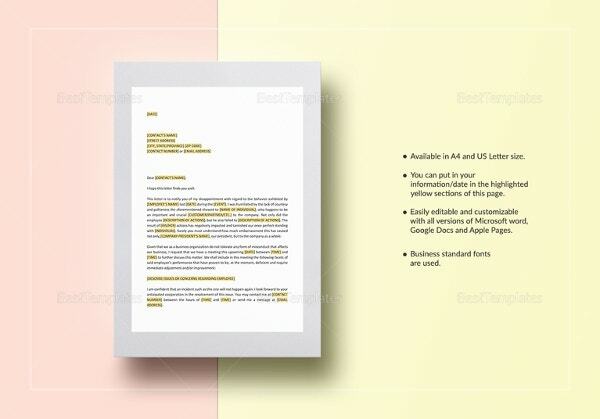 Here is a list of the best sample notice templates to use. 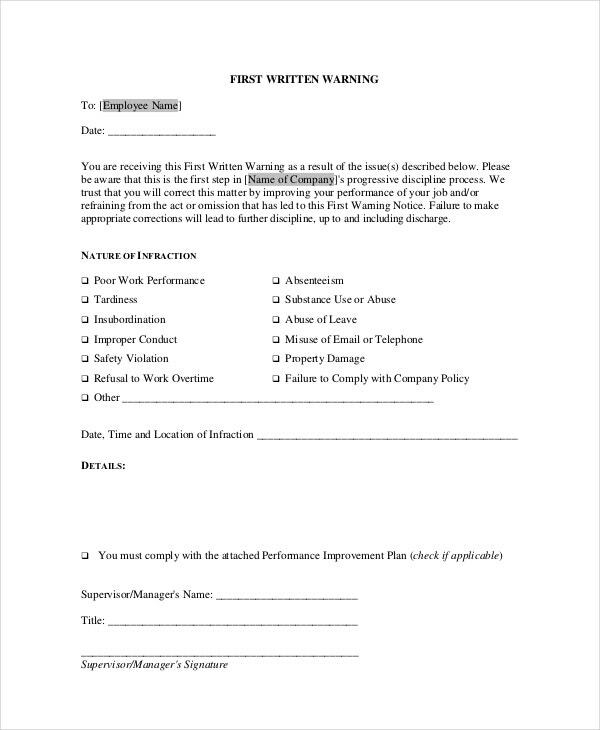 If you have those employees who just won’t attend important meetings, it may be relevant to send them a private warning letter. 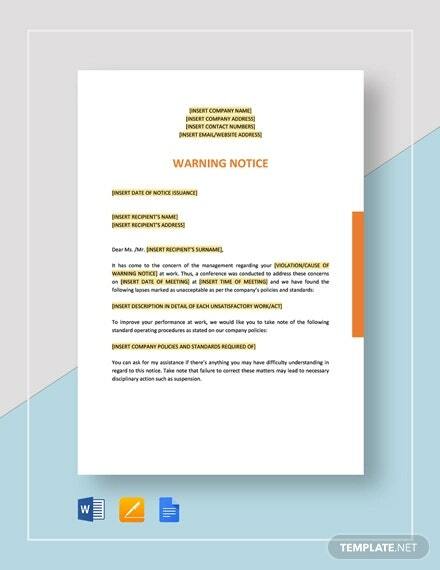 Here is a sample warning notice template that you can download for free and use. Employees who are not of good conduct should be warned of misbehavior as soon as you notice them. 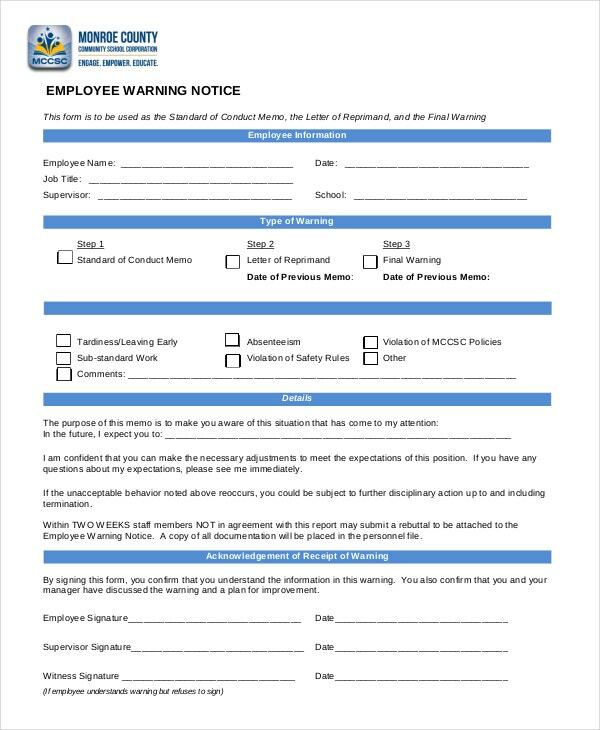 A first warning, using the following sample template, can help an employee start changing his/her negative habits. 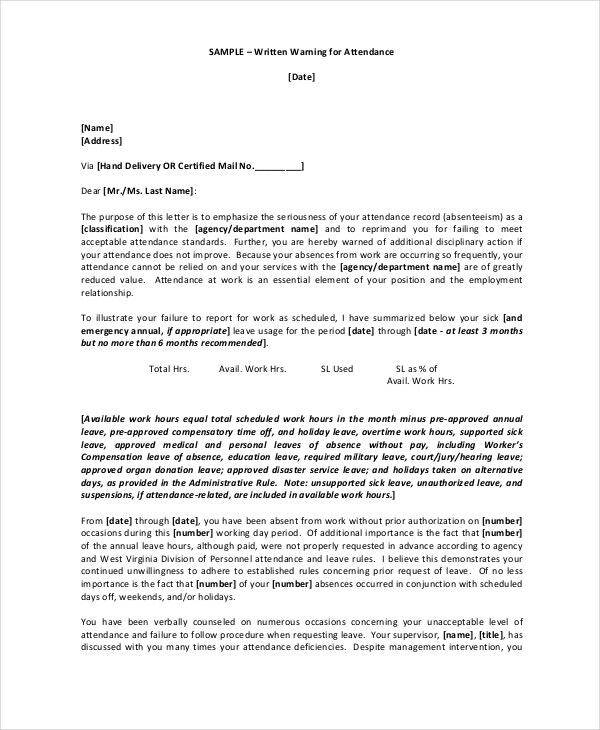 You can also see Disciplinary Letter Templates. While construction workers are the best assets for the construction projects, some may be the pros of misconduct at the place of work. 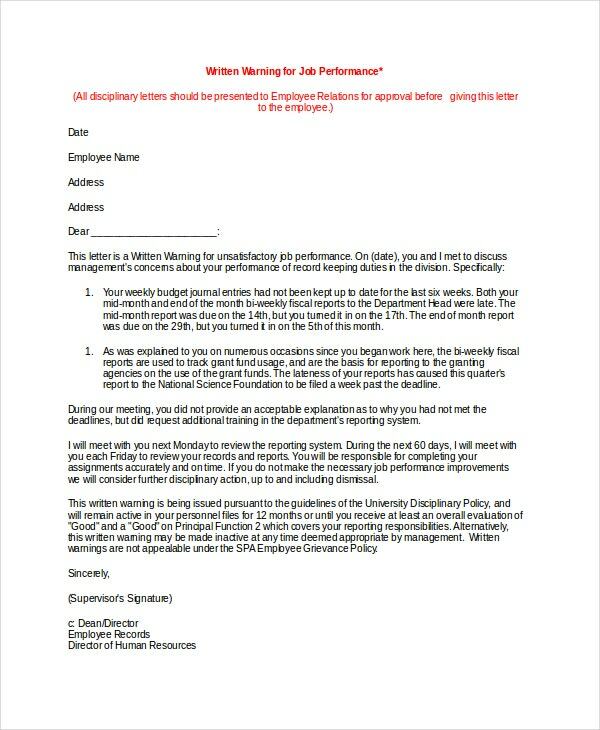 So, use the above sample template to send a warning letter instead of withdrawing their employment. It is not a good business practice to fire an employee when they fall short. Apparently, everybody makes mistakes. And that’s normal. 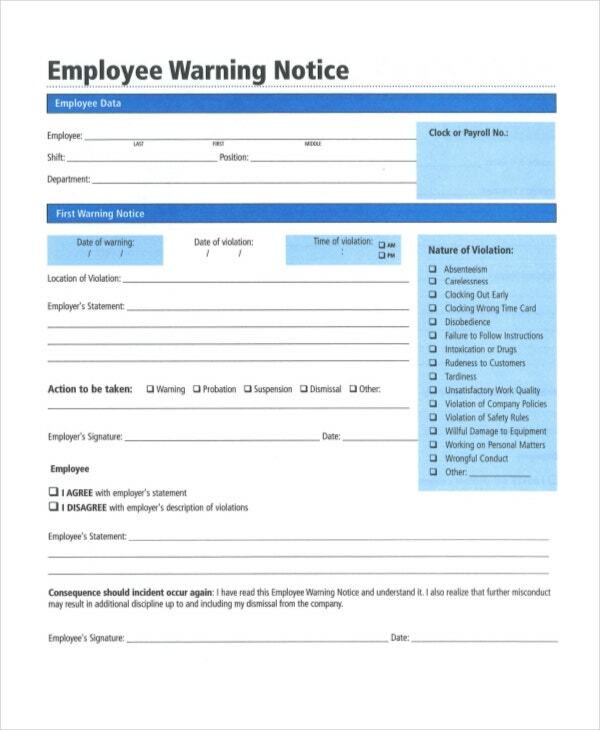 Employee warnings often trigger the urge to do self-diagnosis. It means an employee will make some time for himself or herself to find out whether they did make a mistake. 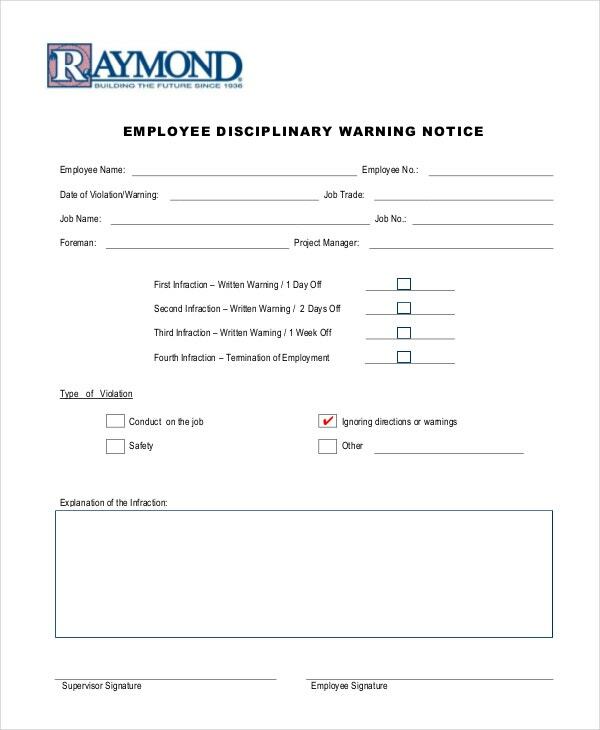 You can also see HR Warning Letters. Warning notices are the best corrective measures that you can possibly give. By sending this letter to an employee, you awaken them to the level of understanding their personal mistakes. 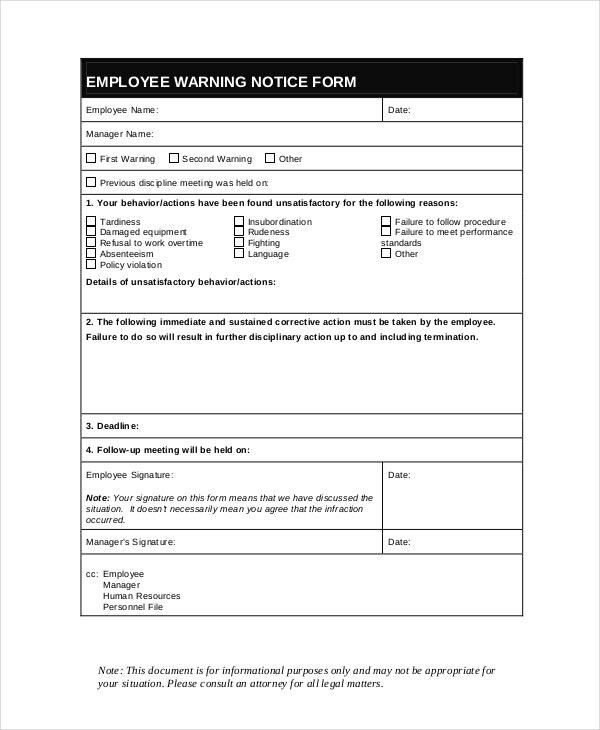 It makes more sense to warn an employee as opposed to firing him/her. Many employees have been on the receiving end of absolutely bad behavior. And the only best way to handle them is to send them a warning later for the disciplinary cases. Download this file for free. It helps create a good image for the company. Employees will appreciate more when they are corrected than when they are shown the door. Ultimately, they work smart to better themselves, to make the company better, and to create a reputation on the outside market. 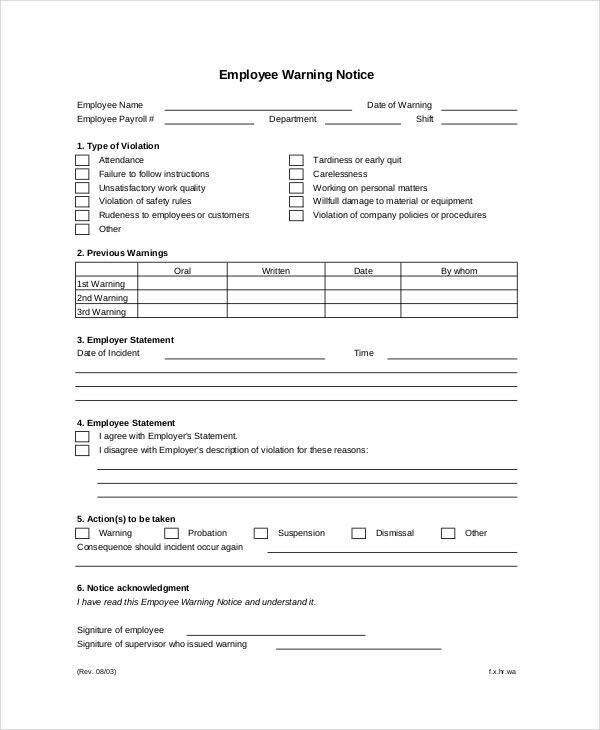 You can also see Employees Write Up Templates. Warning letters are a sign of care. An employee may not actually know that he/she has made an error unless the mistake done was out of ignorance. So, when you correct them, they get that feeling that the employer cares about and wants them to become the best employees for the company. Only fire an employee if it is the last and the best thing to do. And that will have to be after a few series of warnings that bore no fruits. In most cases, a one-time warning is almost always enough.